College & Career Pathway policies can allow students to earn authenticated skill sets informed by labor market demand and ensure more rigorous courses are available and incentivized for all students. 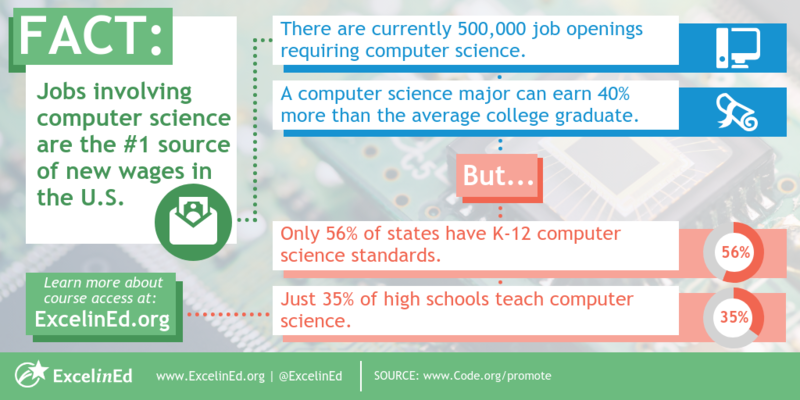 Learn more about effective College & Career Pathways policies at ExcelinEd.org. Hadi Partovi, founder and CEO of Code.org, shares insights on how education leaders can equip schools to expand opportunities for all students and ready them for a career in a technology-based economy.